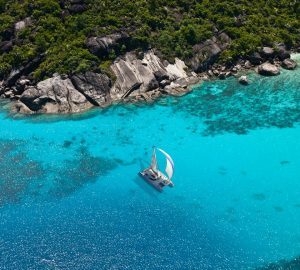 The Seychelles is often referred as the "Jewel of the Indian Ocean" and what better way to experience this jewel than on a luxury Seychelles yacht charter vacation? After all, it is an island nation with some of the most wonderful coastline environment in the world, so a boat is surely the best way to experience it. The Seychelles archipelago consists of hundreds of islands and inlets scattered over an area of 400,000 square kilometers, as situated northeast of the island of Madagascar in the Indian Ocean. 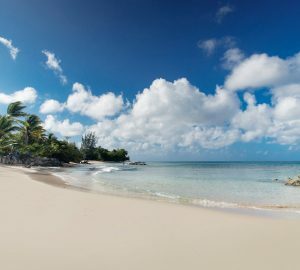 There are numerous reasons why luxury holidaymakers are drawn to these rare and enchanting shores, but the beauty of the beaches and the ocean life is high among them. 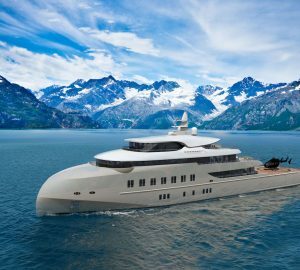 Similarly, luxury superyachts also come to visit or are based here year round and so there are typically several to choose from. 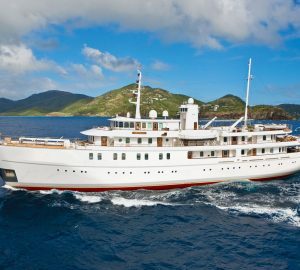 The idyllic white sandy beaches, calm waters, sparkling lagoons and brilliant coral reefs, are some of the reasons why this is one of the most unique yacht charter destinations in the world. The second, is the incredible and ancient wildlife reserves, which hold rare species which are found nowhere else on earth. Discover giant tortoise and huge flocks of sea birds such as the lack parrots or the flightless white-throat rail bird. Beneath the water the wildlife is just as, if not more impressive than the wildlife on land. Hundreds of species of brilliantly colored fish and coral are on display at Desroches Drop - a site renowned for the best diving in the Seychelles. While the protective waters of the lagoon are perfect for snorkeling off your charter boat, there are over 20 dive and snorkel sites in the marine parks around Mahe, one being St Anne Marine National Park which protects over 150 types of fish. For those who'd like to experience the thrill of diving with the giants of the deep, the waters beyond the lagoons hold a variety of larger fish and sharks. If you'd feel more comfortable with these type of fish on your plate, as apposed to you on theirs, the deeper waters are fantastic for game fishing. The main island of the Seychelles, Mahe is stunning with 70 beaches of different character, backed with dramatic rock formations. With so many beaches and bays, an impressive anchorage for your charter boat, is never far away. The temperature in the Seychelles is fairly consistent year round. The climate is tropical and humid, accompanied by a pleasant breeze. Temperatures sit at an average of mid to high twenty's. Although tropical rains fall more frequently in January and February, they rarely affect more than a small area at once. The weather can still be perfect, merely miles away, around the island. 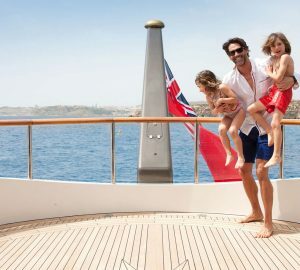 The types of yacht charter available in the Seychelles includes motor, sailing, diveboat charter, skippered, crewed yachts, power boat, sailboat, and more and more luxury yacht charters round the world trips. The constant breezes make light work for a sailing yacht. The shallow coral reefs and endless beaches are perfectly suited to a catamaran. Or a motor yacht such as luxury motor yacht Seastream, based in the Seychelles year round that can power you to the next secluded bay, fishing or diving spot in no time. Whichever your preferred boat type, a yacht charter in the Seychelles, will be unforgettable. The stunning landscape and the valuable wildlife species make the Seychelles an interesting and diverse location for a yacht charter holiday. In close proximity to the Seychelles are a number of exciting sailing destination.